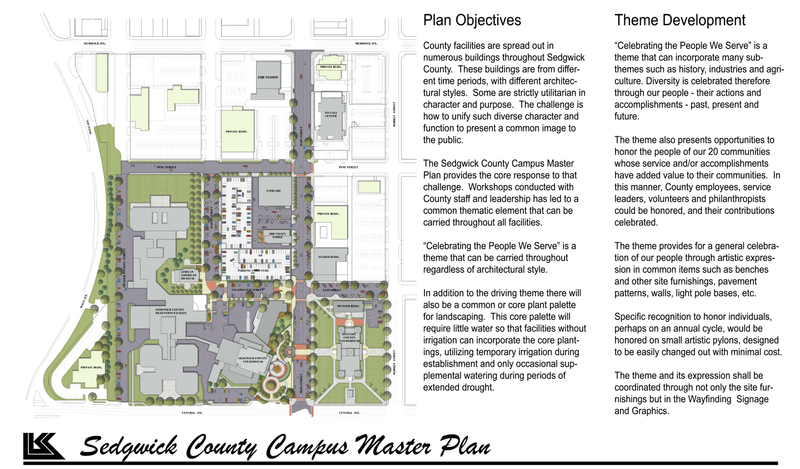 The intent of the project was to guide landscape and site enhancements to create a campus atmosphere amongst varied Sedgwick County offices and facilities with the potential to carry these thematic elements county-wide and develop a cohesion and unity among all facilities. 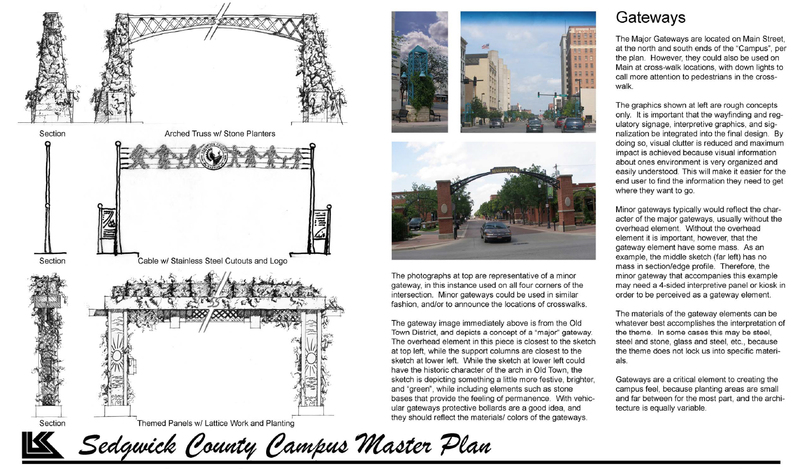 Working with a committee of staff members, we held visioning workshops to develop a theme that would determine the future of the downtown campus. 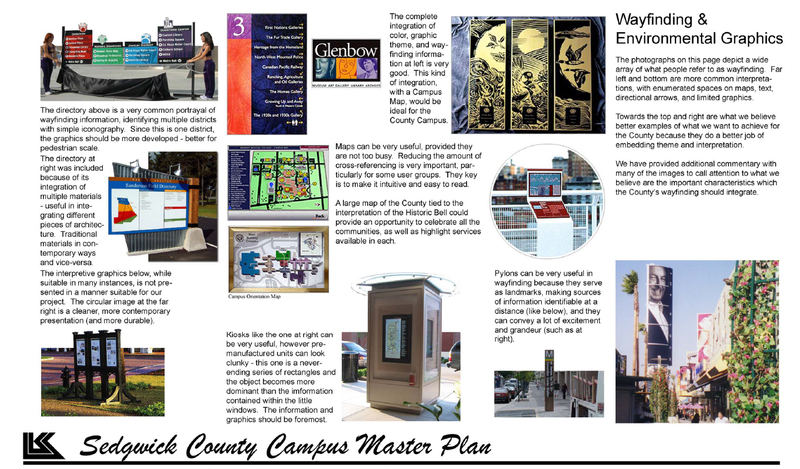 The master plan document was composed of several related components including parking study, drainage study, hardscape recommendations, wayfinding and interpretive graphics plan, site accessibility and pedestrian plan, site amenities plan and planting palette. Additionally, we provided a project phasing plan with construction estimates.